This CINE150L Heavy-Duty Aluminum Tripod from Acebil consists of an aluminum tripod with 150mm bowl, a GS-7 ground-level spreader, and a TC-150 carrying case. The system supports a maximum load of 308 lb. The sturdy aluminum tripod features a single stage that locks and unlocks with rotating locking levers. It can extend to a maximum height of 70.9". 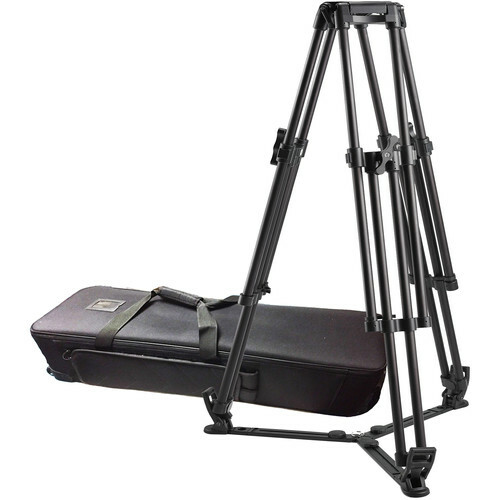 The included ground spreader attaches to each leg's rubber feet to keep the tripod stable. A carry case is included to carry all the elements of the kit.